Happy Good Friday! I’ve been a crazy fan of LUSH since my university days and I’d often be found in the LUSH shop back in Melbourne Central taking home a mask or soap possibly every week! I’m in love with the very natural products and the homey just made feel. Today I want to share with you their brand new Mother’s Day collection that will be launching on April 10th, 2015 at all Singapore outlets. Thank you LUSH for sending these over! Here they are! The collection includes the LUSH Yummy Mummy shower gel, Rose Bombshell, Yummy Mummy Body Conditioner, Love You Mum Soap and Mother Superior Bubbleroon! I’ve tried all of these “types” of products before but in other scents – but not specifically the ones featured in this collection. I suppose the formula is the same as it is the same type of product but in a different scent. Nonetheless since this is a haul and NOT a review, I’ll be giving my general first impressions on them based on the scent, appearance and my previous experiences with the same type of product. Hope this makes sense! 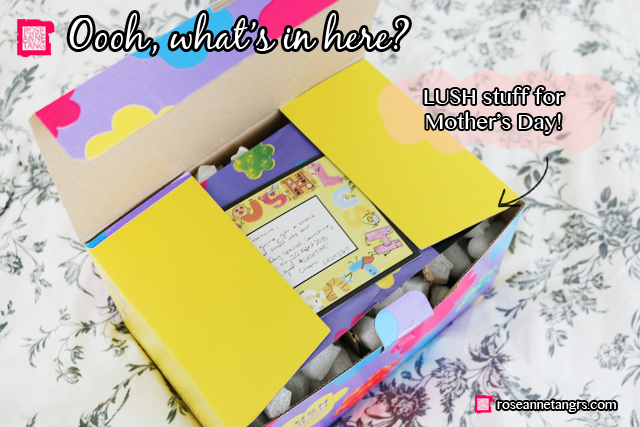 Anyway, the first product is the LUSH Love You Mum Soap! 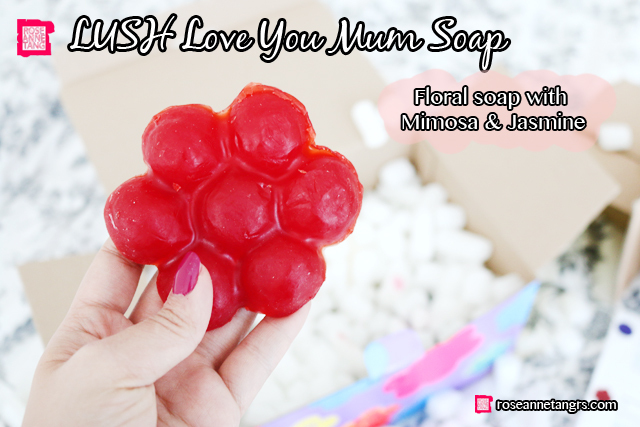 It’s a soap bar in the shape of a red flower and LUSH describes it as an elegant and floral soap made with mimosa and jasmine absolutes. It also contains bergamot oil that uplifts and refreshes. To me, it smells like a powdery jasmine flower and smells really delicate! The LUSH Rose Bombshell, my favourite of the lot. I don’t think this is a particularly new product from LUSH because I think I’ve seen it in stores before but I’m not totally sure. 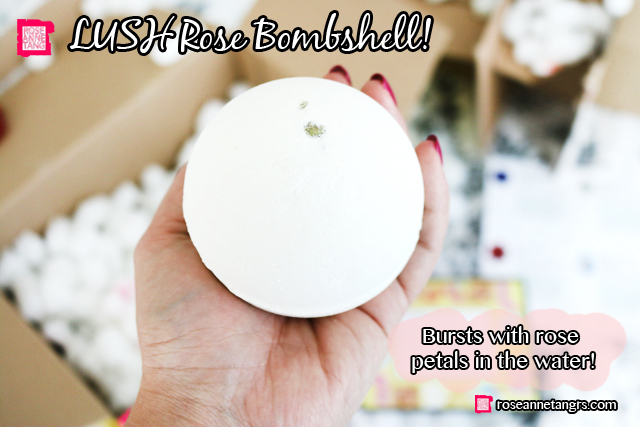 I love bombshells because they are basically balls that you plop into a large bath of warm water and the bomb does explode releasing all sorts of surprises! Some bombshells have glitter in them or different confetti but the Rose Bombshell in particular will burst in rose petals. This bombshell is also made with skin-softening soya milk powder, orange flower absolute and rosewood and Turkish rose oils! Imagine treating your mum to this! Bombshells are not to be confused with bubble bars – they don’t make bubbles, but instead add to the water like a bath salt and makes the water feel extremely soft and perfumed. It’s very relaxing. 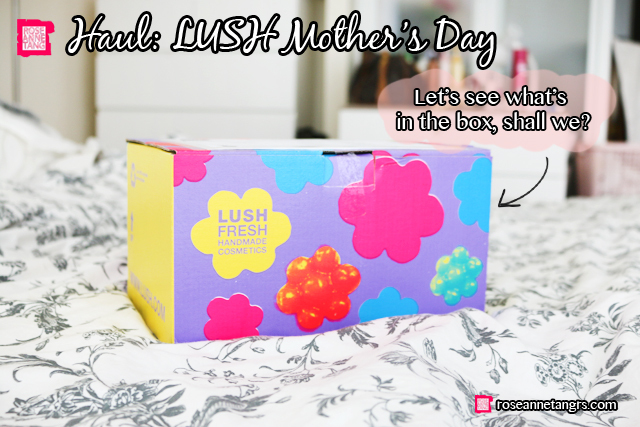 If you’re thinking of getting a super-scrummy and sweet floral shower gel for your Mum, you might want to check out the LUSH Yummy Mummy Shower Gel! It has lilac notes mixed in with personally I feel a grape and caramel mix. It smells delicious and there’s a touch of silver reflex when you wash with it for as LUSH describes – a touch of glamour. 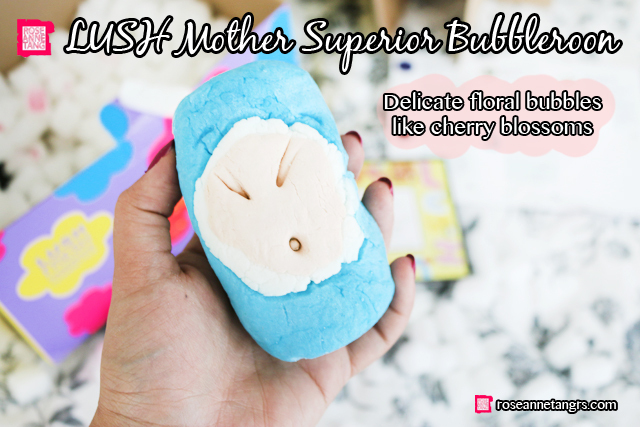 The most unique of the lot is the LUSH Mother Superior Bubbleroon and one that I know is exclusive to this Mother’s Day collection. If you don’t know what a bubbleroon is, it’s essentially a bubble bar. This makes bubbles, unlike a bath bomb. Simply break it into pieces and crush it with your fingers under running water as you fill your bathtub to create a massive amount of nice smelling bubbles. I love this very much and it makes for a very relaxing bubble bath. LUSH describes this particular bubbleroon as having “delicate floral bubbles that unfurl like cherry blossoms in spring.” To me, it has a sweet and clean scent that reminds me of a mix of fresh laundry and flowers. Last of all is the LUSH Yummy Mummy body conditioner. LUSH has blended fresh strawberry juice with luscious butters to give you soft and scrummy skin. This particular body conditioner (essentially a body cream or moisturiser) has Murumuru and Fair Trade organic cocoa butters. It doesn’t smell like Yummy Mummy shower gel but instead like strawberry caramel cream. It smells yummy and something that I’d like to put on ice cream and eat!